This is an adaptive re-use proposal for a new office space, utilising our modern workplace strategies and technologies. 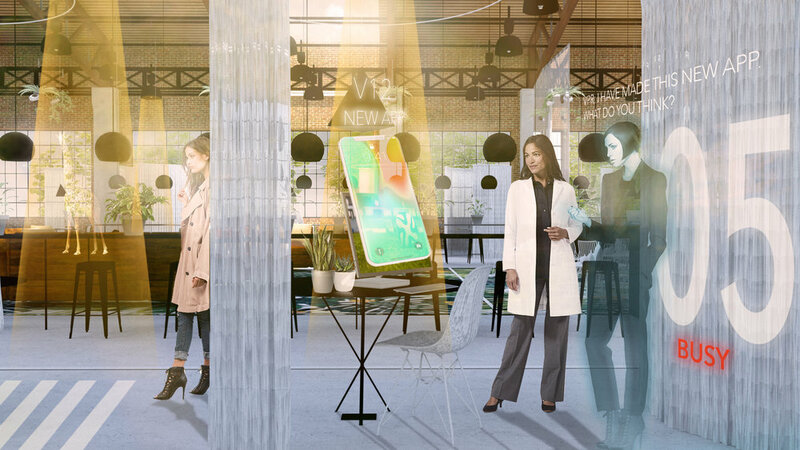 The future of workplaces is bringing together the spaces that we love into our office. The park, the cafe, the home... it's all here. Cold corporate offices are becoming a thing of the past. New office spaces have less and less permanent fixtures and are increasingly open plan. Achieving acoustic variation and privacy are key to making this type of space work, for example, we are developing acoustic curtains to help with this issue. Flexible furniture and computers that can change levels and configurations, such as the Surface Studio and laptops are also key to achieving the ultimate flexible workspace.